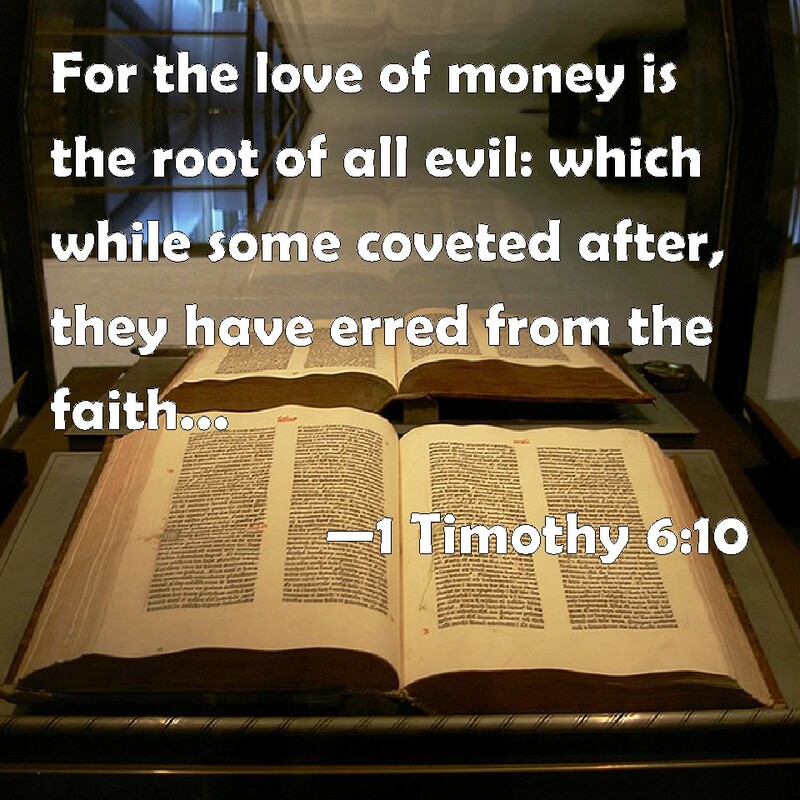 Now note, it does not say “money is the root of all evil”, it does in fact say “the LOVE of money is the root of all evil.” To begin with, sin is the true root of all evil, and evil generates sin! Love of money (or even lust of money) is therefore a sin, because the only thing you should truly love is God! And putting money over God is certainly a sin! God knows we need money to live, and all churches collect tithes and offerings as part of their services to help others, so money cannot be the root of evil. But when money overtakes our lives and supercedes everything we do or think, then we have a problem. We cannot go through life without money, very few people succeed, but we can go through life in a frugal manner. Being rich beyond our wildest dreams does not make life better, in fact in some ways, the richest people have the most problems. So endeavour to be comfortable in your life, share your wealth, and put God first, and you’ll do just fine.